You are currently viewing Archived reports for the week of 6 February-12 February 2013. On 6 February AVO reported that satellite imagery acquired on 30 January indicated that a lava dome had grown in Cleveland's summit crater, prompting AVO to raise the Volcanic Alert Level to Watch and the Aviation Color Code to Orange. The dome was about 100 m in diameter and may have begun forming as early as 24 January when elevated surface temperatures were observed in satellite images. The size and shape of the dome appeared to be unchanged based on satellite data acquired on 2 February. Elevated surface temperatures from the lava dome were detected during 5-6 and 8-11 February. 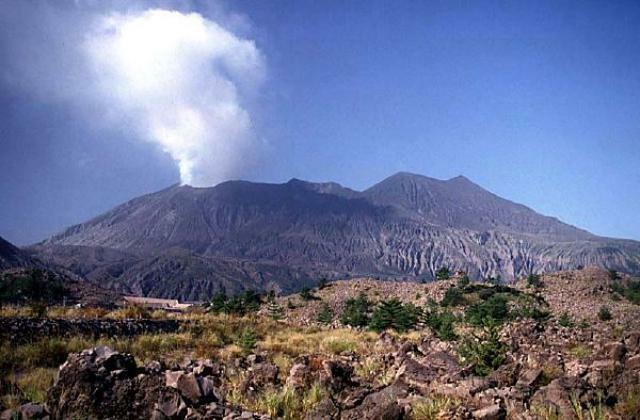 Sezione di Catania - Osservatorio Etneo reported that during the days following the 2 February eruptive episode at Etna intermittent emissions of small quantities of ash were repeatedly observed from both the New Southeast Crater (NSEC) and Bocca Nuova Crater. 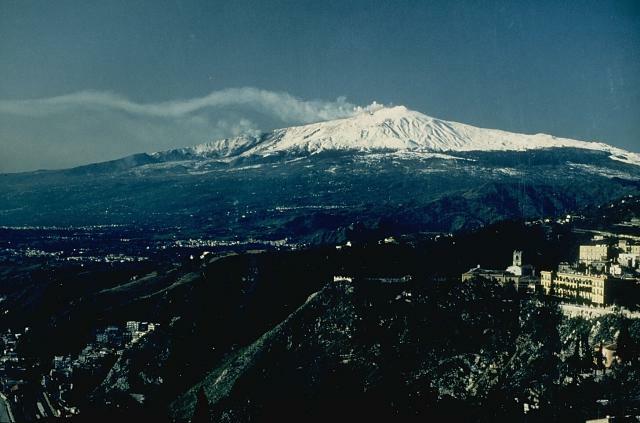 Volcanologists visited Etna on 5 February and observed the recent changes that had taken place at Bocca Nuova Crater, notably the growth of a pyroclastic cone surrounding the eruptive vent in the SE portion of the crater. This cone had grown at least 50-70 m, about halfway up the inner crater wall, and was leaning into the wall. The entire crater floor was covered with recent lava. Later in the evening of 5 February a webcam recorded weak Strombolian activity at NSEC, which continued until daybreak the next day, and then became invisible due to deteriorating weather conditions. Seismic data showed an instantaneous increase of tremor at 1020; volcanic tremor amplitude rose to a peak within a few minutes after the start of the activity, and began to descend after less than one hour. People in the ski area on the NE flank of the volcano briefly saw a dense but ash-free gas plume rising from the summit. After the episode on 6 February through most of 8 February sporadic ash emissions from NSEC were observed, although poor weather conditions often prevented observations. On the evening of 8 February weak glow from NSEC was intermittently visible. At 2100 a webcam recorded fluctuating glow from within Bocca Nuova which became more intense over the next 10 minutes. Around 2125 jets of incandescent lava were repeatedly seen rising above a thick blanket of clouds drifting over the summit area of Etna. Contemporaneously, the volcanic tremor amplitude rose sharply. 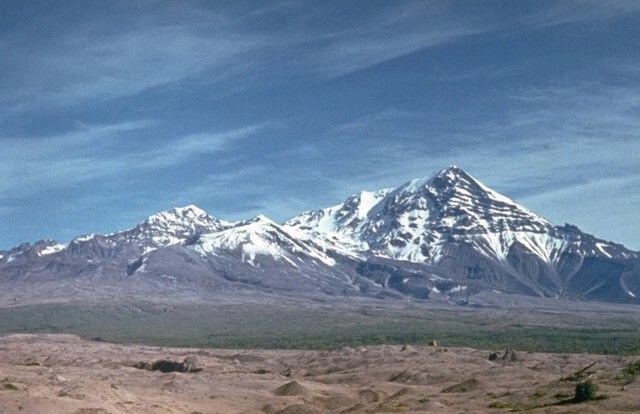 After 2200 the volcanic tremor amplitude began to decrease, whereas the eruptive activity continued without showing signs of diminishing until about 30 minutes later. After 2230 on 8 February and during 9-10 cloud cover prevented observations. A brief ash emission was observed on 10 February. 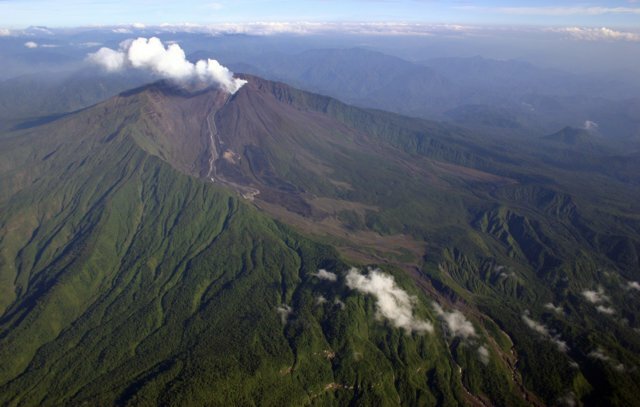 RVO reported that during 4-5 February pale gray ash plumes rose from Rabaul caldera's Tavurvur cone. On 5 February the ash plumes slowly rose 2 km a.s.l. and drifted E and ENE. On 6 February only white plumes rose from the crater during most of the day. In the evening a gray billowing ash cloud was followed by a sequence of "gentle puffs" of white to light gray ash emissions at irregular intervals into the night and through the morning of 7 February. 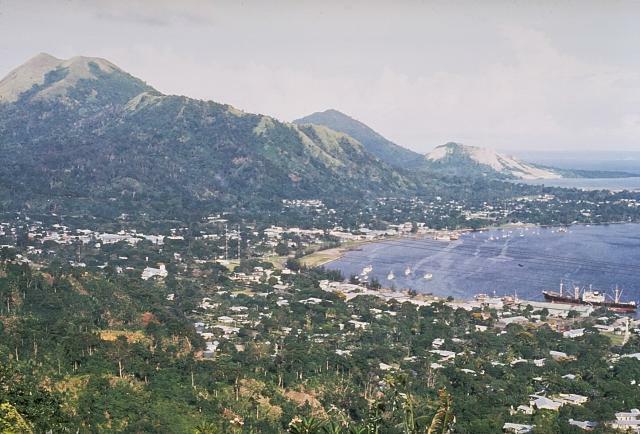 Fine ashfall was reported in Rabaul town (3-5 km NW) in the late evening of 6 February. SVERT reported that a thermal anomaly over Rasshua was detected in satellite images on 6 February. IG reported that seismicity at Reventador was high during 6-7 February and moderate during 8-12 February; explosions were detected daily. An ash plume rose 3 km and drifted S on 7 February, and ashfall was reported in areas near the volcano on 9 February. Cloud cover often prevented observations. 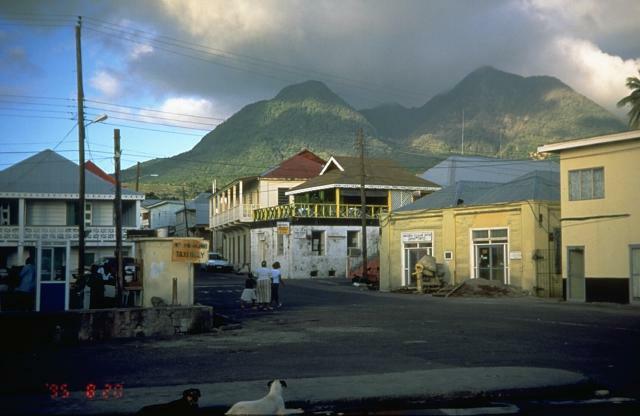 MVO reported that during 1-8 February activity at the Soufrière Hills lava dome was at a low level, although there was a slight increase during 3-6 February characterized by volcano-tectonic earthquakes, elevated gas flux, and possible light ash venting. The volcano-tectonic earthquakes occurred in four brief swarms: at 2220 on 3 February, at 0915 and 0950 on 4 February, and at 0620 on 5 February. The second swarm was the most intense, and was followed by a hybrid seismic event. Another hybrid event was not associated with a swarm. After the second, and largest, volcano-tectonic swarm on 4 February, there were increases in the temperatures of several fumaroles inside the 11 February 2010 collapse scar, as observed using a handheld thermal infra-red camera at MVO, 5.7 km away. There was a further increase, as well as some loud roaring sounds, around the time of the third swarm. The activity likely included minor ash venting from a large fumarole in the floor of the collapse scar because fresh ash deposits were observed adjacent to this fumarole on the morning of 5 February. 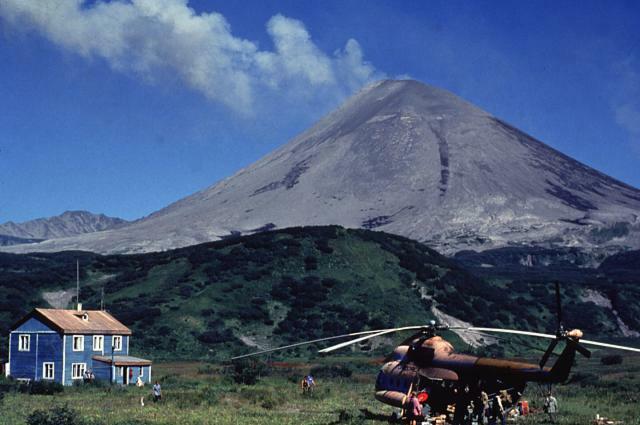 All fumaroles had returned to background levels of activity and temperature by later that day. Sulfur dioxide measurements showed an average flux of 929 tonnes/day during the week, with a maximum of 2,381 tonnes/day and a minimum of 273. The flux was not steady, with peaks of 962, 1,266 and 2,381 on 1, 4 and 6 February, respectively. The last measurement is the highest daily value since the ash-venting episode that occurred during 23-25 March 2012. The Hazard Level remained at 2 (on a scale of 1-5). 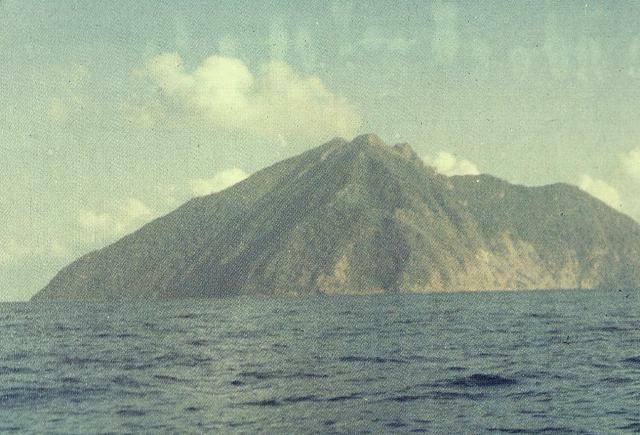 On 11 February GeoNet Data Centre reported that analysis of recent changes and measurements from White Island indicated that activity was lower than the previous week; therefore, the Aviation Colour Code was lowered to Yellow and the Volcanic Alert Level remained at 1 (on a scale of 0-5). 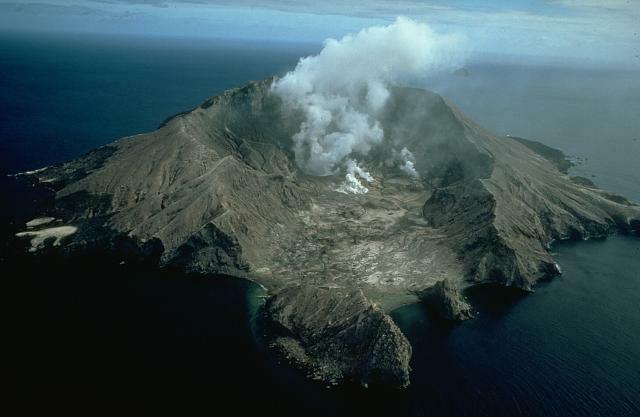 The report also stated that early during the previous week the level of volcanic tremor recorded at White Island dropped to less than half that of the week before. At the same time small explosive eruptions in the active crater, which had been occurring for about three weeks, became less intense. On 7 February sulfur dioxide and carbon dioxide gas measurements were similar to measurements from January: sulfur dioxide flux was 560 tonnes/day and carbon dioxide flux was 1,800 tonnes/day. 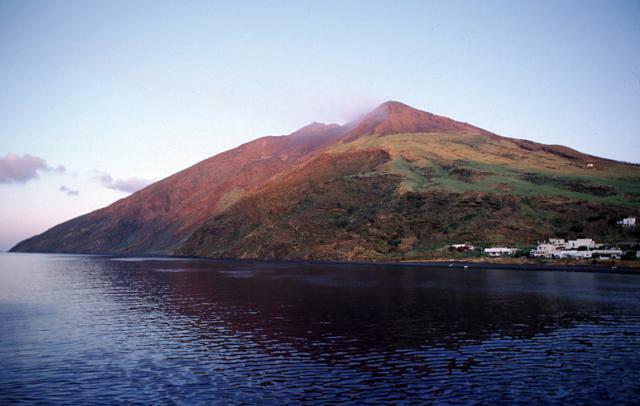 A volcanologist that visited the lake area on 8 February noted that water had again filled the lake and small geysering was the only activity that he observed. The lake water was hot, about 80 degrees Celsius. Based on information from JMA, explosions from Sakura-jima's Showa Crater during 6-12 February generated plumes that rose to altitudes of 1.2-3.7 km (4,000-12,000 ft) a.s.l. and drifted SW, S, SE, E, and NE. The Tokyo VAAC reported that pilots observed ash plumes at altitudes of 2.4-3.4 km (8,000-11,000 ft) a.s.l. on 8 and 11 February. JMA reported that during 8-12 February 34 explosions from Showa Crater were detected and ejected tephra fell at most 1.8 km from the crater. Crater incandescence was clearly detected at night. 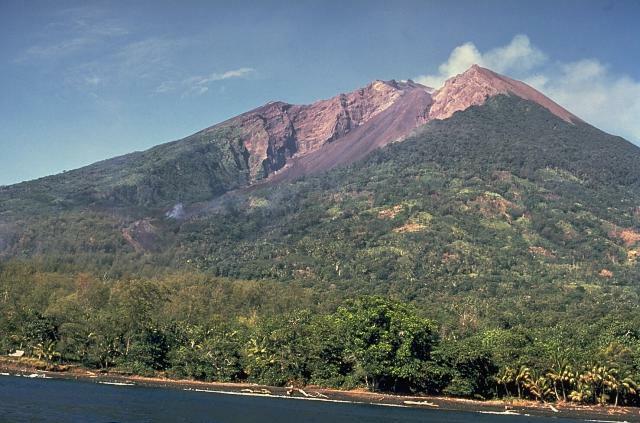 Based on analyses of satellite imagery and wind data, the Darwin Volcanic Ash Advisory Centre (VAAC) reported that during 6 and 8-12 February ash plumes from Batu Tara rose to altitudes of 2.1-3.7 km (7,000-12,000 ft) a.s.l. and drifted 35-75 km W, NW, and N.
KVERT reported that during 1-8 February seismic activity at Bezymianny was obscured by strong seismicity at Tolbachik. A viscous lava flow continued to effuse on the lava-dome flank, accompanied by gas-and-steam emissions. A thermal anomaly was detected in satellite imagery on 31 January and 1 February; cloud cover prevented views on the other days. 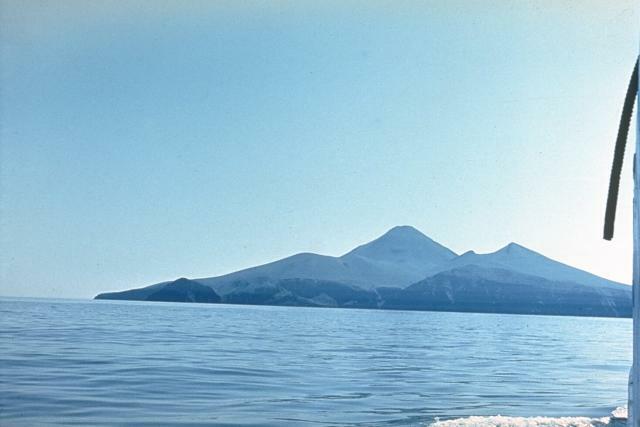 KVERT reported that weak seismic activity at Karymsky was detected during 1-8 February. 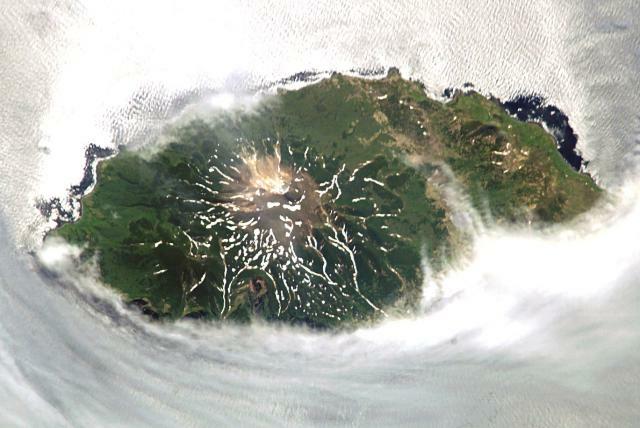 Satellite imagery showed a thermal anomaly on the volcano on 31 January and 1 February. The Aviation Color Code remained at Orange. During 6-12 February HVO reported that the circulating lava lake periodically rose and fell in the deep pit within Kilauea's Halema'uma'u Crater. The plume from the vent continued to deposit variable amounts of ash, spatter, and Pele's hair onto nearby areas. 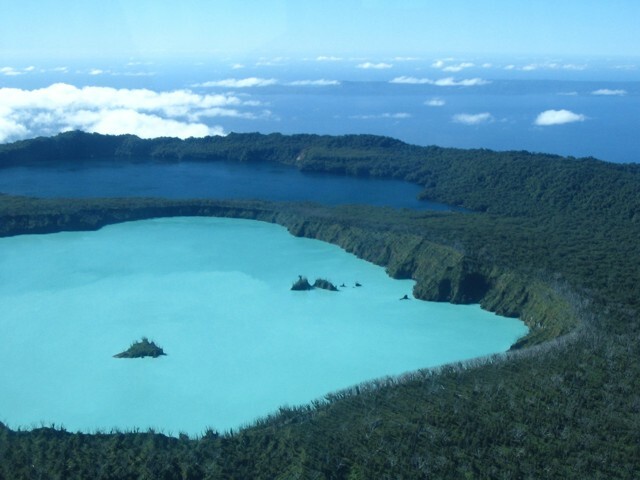 The lake level was 27 m below the Halema'uma'u crater floor on 6 February, 25-27 m below the floor on 7 February, and 31 m below the floor on 11 February. 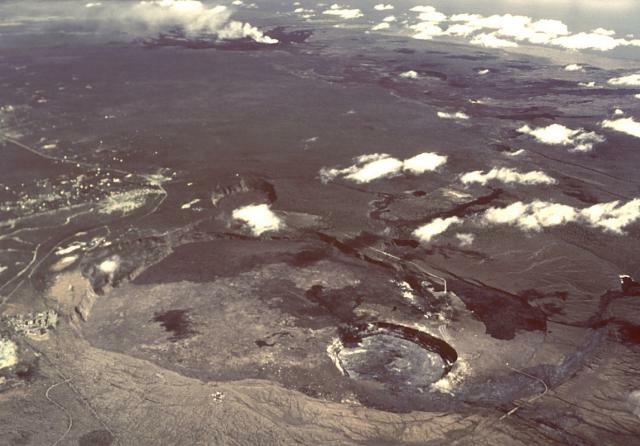 At Pu'u 'O'o Crater, glow emanated from spatter cones on the SE part of the crater floor, from a spatter cone at the NW edge of the floor, and from a perched crusted lava lake on the NE part of the floor. Multiple lava flows from the lava lake (perched 5-6 m higher than the crater rim) traveled across the NE flank of Pu'u 'O'o cone to the cone's base and continued to advance over older flows. Lava flows were active on the pali and in a 1-km-wide area on the coastal plain. To the W, a 350-m-wide lava flow advanced more than 1.2 km from the base of the pali and remained active with scattered breakouts. Web cameras recorded steam plumes from lava sporadically entering the ocean at multiple locations. KVERT reported that during 1-8 February moderate seismic activity continued at Kizimen. 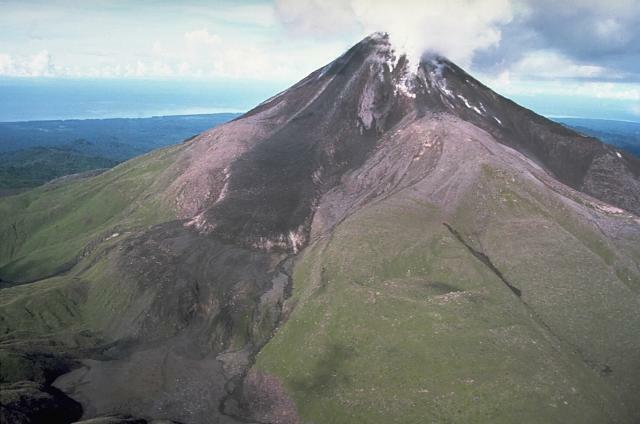 Video data showed that lava continued to extrude from the summit onto the E and S flanks. 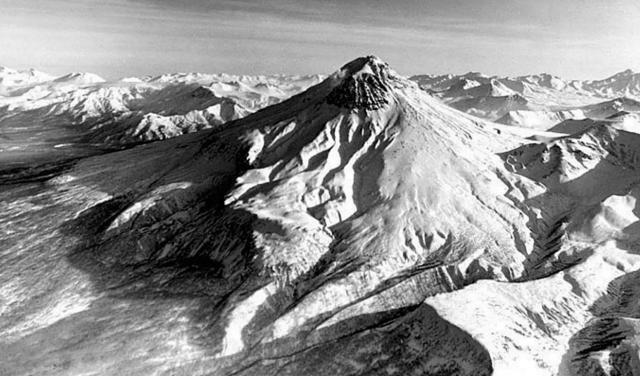 Summit incandescence, strong gas-and-steam activity, and hot avalanches on the W and E flanks accompanied the process. Satellite images detected a daily thermal anomaly over the volcano. The Aviation Color Code remained at Orange. Based on observations of satellite imagery and wind data analyses, the Darwin VAAC reported that an ash plume from Manam rose to an altitude of 10.1 km (33,000 ft) a.s.l. on 12 February and drifted 55 km SW.
Based on analyses of satellite imagery and wind data, the Darwin VAAC reported that during 8-12 February ash plumes from Paluweh rose to altitudes of 2.1-3.7 km (7,000-12,000 ft) a.s.l. 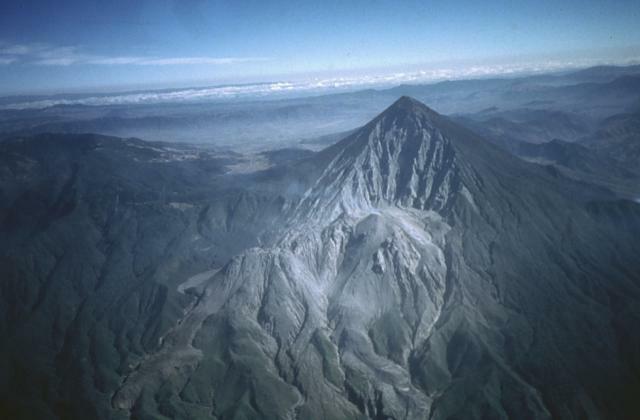 and drifted 35-110 km NW, NNW, and N.
INSIVUMEH reported that during 7-8 and 10-11 February explosions from Santa María's Santiaguito lava-dome complex produced ash plumes that rose 500-700 m and caused ashfall in La Florida (5 km S). Steam plumes rose 200 m and drifted SW, and avalanches from lava-flow fronts traveled SE down the Nima I drainage. 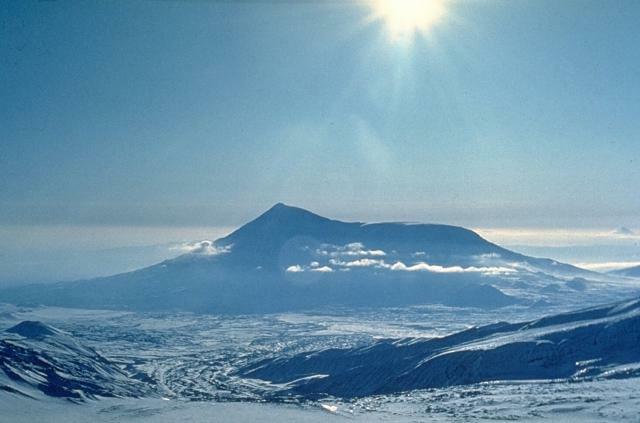 Based on visual observations and analyses of satellite data, KVERT reported that during 1-8 February a viscous lava flow effused on the E flank of Shiveluch's lava dome, accompanied by hot avalanches, incandescence, and fumarolic activity. Satellite imagery showed a daily thermal anomaly on the lava dome. The Aviation Color Code remained at Orange. 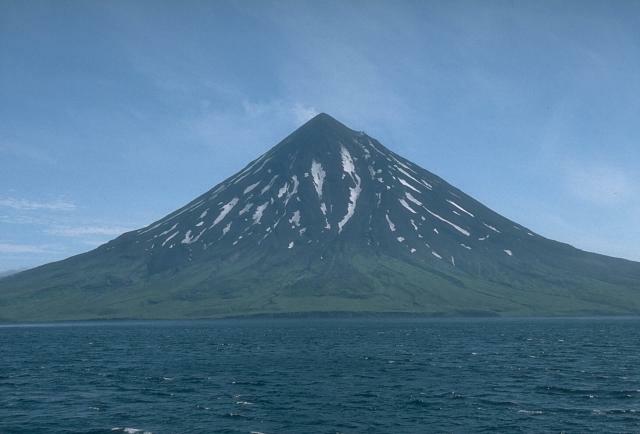 KVERT reported that the S fissure along the W side of Tolbachinsky Dol, a lava plateau on the SW side of Tolbachik, continued to produce very fluid lava flows during 1-8 February that traveled to the W and S sides of the plateau. Four cinder cones continued to grow on the S fissure above Krasny cone. 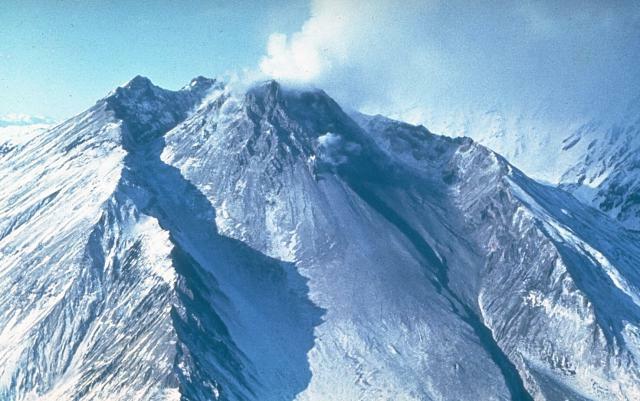 Gas-and-ash plumes rose to an altitude of 3.5 km (11,500 ft) a.s.l. and drifted in multiple directions. A very large thermal anomaly on the N part of Tolbachinsky Dol was visible daily in satellite imagery. The Aviation Color Code remained at Orange.